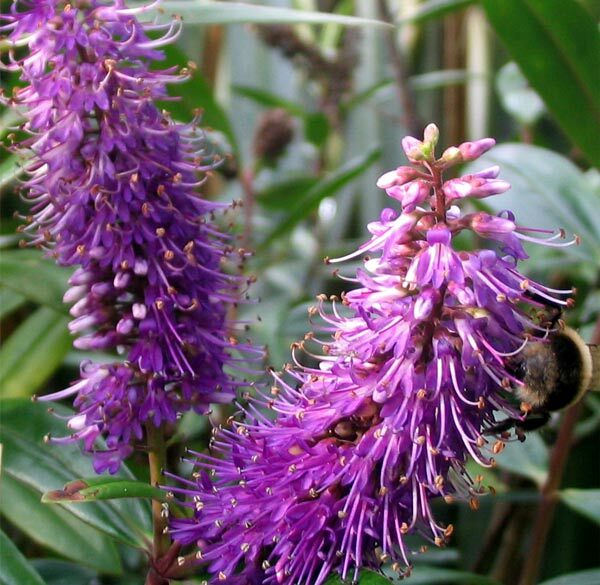 In late summer this purple flowering Hebe is at its best. The flowers are quite large, and much beloved by my bees - I think I have captured the odd bee in this photograph! After flowering is over I'm trying to remember to give each Hebe a light trim - this stops them becoming too leggy and straggly. There is a definite succession of Hebe flowering times in my garden - starting in late spring and continuing well into winter. Gardeners who specialise in hebes claim there can be one in flower during each week of the year. I love these easy to grow (and easy to prune) New Zealand native shrubs. 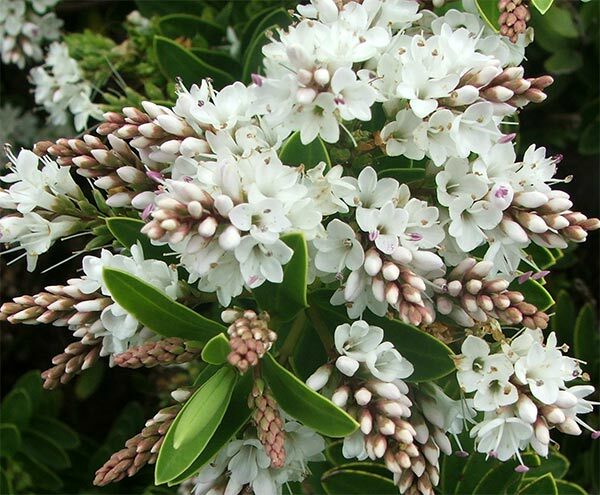 They build great small hedges, too - I have several little Hebe hedges, some with just four or five plants, planted alongside pathways. Others I use singly, just to fill up space. 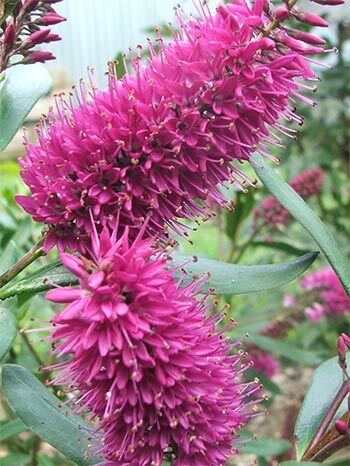 Often I'll plant a hebe at the corner of a garden bed, knowing that I can keep it trimmed. Hebe flower colours seem to come in quite a range. The purples, magentas, blues are beautiful - species hebes that I see in the New Zealand forest and bush are purple. There are also white flowering species, and hybrids of these with soft pinks. Some varieties have pendulous blooms, while others get covered with tiny starry flowers, close to their branches. Many of my Hebes come into the garden without names, so I won't know what colour they'll be. But one with the stylish label name of Beverly Hills in my rockery. I think it's going to be blue!